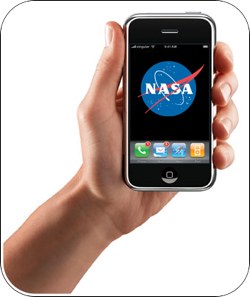 NASA has released a great looking new app for the iPhone. If your interested in everything going on at our favorite space agency give it a try! Among the outstanding features brought by this application are new images from the Hubble Space Telescope, live tracking of space missions such as the Mars Rovers and live feeds about upcoming developments in the International Space Station. Check it out at the iTunes Store. Ares I-X First Test Launch Successful! Hopefully everything goes well and NASA will begin a new chapter of space exploration. "The rocket is Ares I-X — a suborbital prototype for the Ares I rocket NASA plans to use to launch its shuttle successor, the Orion spacecraft. 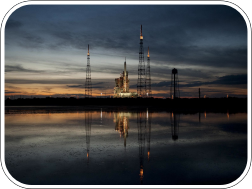 Currently the world's tallest booster in service, the Ares I-X rolled out to the launch pad early Tuesday and is slated to blast off Oct. 27 at 8 a.m. EDT (1200 GMT) on a short demonstration flight."